With a striking cover, interesting premise and a semi-local author (Australian) it was hard to pass this one up. Sadie and her daughter Betty have moved to Tasmania to start anew after divorce and personal issues have made life impossible for them in Sydney. Poet's cottage is a beautiful house with a lot of history. Sadie's grandmother Pearl who was a children's author in the 1930s scandalised the locals with her free spirit and eccentric ways. She was beautiful and glamorous but she was also brutally murdered in the basement. With the murder unsolved for over 50 years Sadie wishes to write and publish a book. But her mother Marguerite is dead and Thomasina her Aunt tells a very different and darker story of her grandmother. Soon Sadie and Betty begin to experience strange and frightening things. Is it Pearl? or someone who doesn't want the truth known? This book was deliciously dark and atmospheric. There were more than a few scenes that were frightening. Bit by bit Pearl is revealed. She is such a complex character, neither bad nor good. I loved every moment of this story. I had my suspicions on who the murderer could be but I was completely wrong! I love being surprised. The writing was wonderful. A almost perfect book. 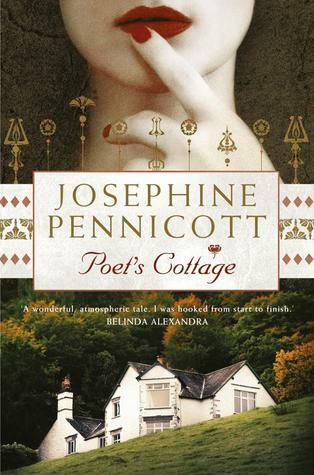 I cannot wait to see what Josephine writes next! 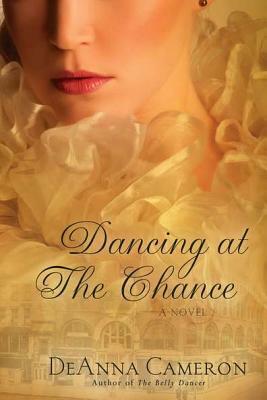 I was looking for something light and enjoyable and I certainly found it in 'Dancing at the chance.' Something about this book drew me to it. I tend to favour more serious historical novels but sometimes I love a bit of fluff. Dancing at the chance follows a young woman named Pepper who dances at the once grand Chance theater. She is one dancer among many who longs for her big break. When her past lover, who also happens to have inherited the theater returns she hopes to get a more prominent role as a dancer and also get the man of her dreams. However he might not be the man she thought he was and when the theater's existence is threatened she risks losing everything. This was a sweet novel. Pepper is naive in many ways but she has a fire in her that endeared me towards her. It is a quick enjoyable read, however it was missing the substance that I usually find in books that I love. I recommend this for anyone looking for a light old fashioned kind of historical romance.